Fitness is a new wave sweeping our nation. Desk jockeys belong to the old world, weekend warriors are the new tribe. Cutting across age, class and gender, it is great to see people exercising, from a brisk walk to crushing burpees in a CrossFit Box. Never before has this country witnessed this huge number of runners, cyclists, swimmers, crossfitters and gym goers and also facilities that cater to them. Sorry to be a buzzkill, but the fact is while our fitness trends are on par with the rest of the world, we are caught in a time warp when it comes to learning and practising the gold standard, state-of-the-art scientific methods in injury prevention. Exercise intervention without scientific preparation in the middle age (30-40 years) is a primary factor to get injured. Statistically, the occurrence of injuries in active population is higher than that of the inactive population, and risk-reward ratio would vary depending on the sport of their choice. But risk is imminent. Periodical musculoskeletal screening by a sports science specialist is a must-do and by far the best intervention before starting any sports or exercise activity. You must consult a specialist to assess your posture, muscle flexibility, joint mobility, ligament and tendon integrity and movement efficiency. An individual-specific routine of warmup, cool-down and corrective exercises will be prescribed to condition your tissue and prevent injuries. Any physical activity or exercise will be beneficial only when it is age appropriate, biomechanically indicated and gradual but progressive. Swimming or cycling would be a better choice for the elderly. Age-related joint wear and tear will be taken care of if they do partial weight-bearing exercises like cycling or use elliptical trainer or exercise inside the pool. Buoyancy effect of the water will do no harm for the degenerated joints. At the same time, strength training and balance training are helpful in preventing the fall. Wearing safety workout gear and appropriate attire for the selected sport is very important to reduce the risk of injury. For instance, running with worn-out shoes is an invitation for soft tissue injuries in the leg. Static stretching is commonly practised by an exerciser, both as part of a pre-exercise routine and part of an ongoing exercise programme. It is aimed at improving flexibility, enhancing physical performance and preventing injury. But many studies show that static stretching does not appear to reduce injury risk and any effect on earlier return to sport is of marginal clinical significance. In contrast, a graduated strength-training programme appears to significantly reduce injury risk and reduce the time to return to the sport after injury. Won’t running five days a week strengthen my legs? Sorry, it won’t. Running is a skill to be acquired. 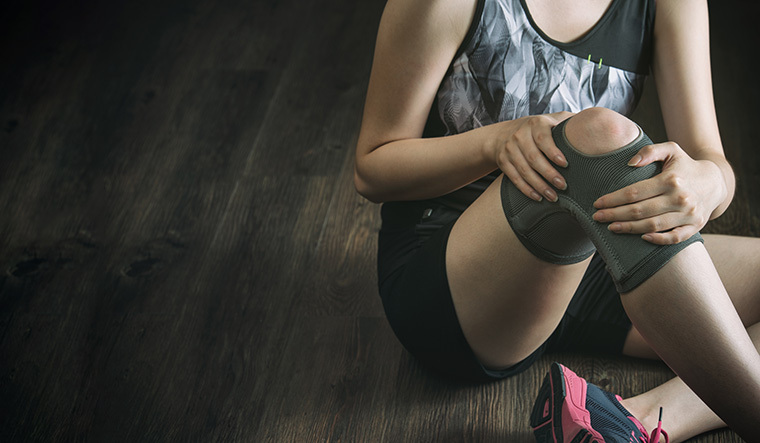 You may end up using the same biomechanics and the same type of tissues over a period of time, making yourself prone to get overuse injuries. Strength training will help to gain strength, muscle mass and endurance. You will become robust and resilient, thus preventing overuse running injuries. Consult a strength-training specialist. Excessive and rapid increase in training load is responsible for a large proportion of the non-contact soft tissue injuries. If you are thrilled and motivated to see an obese person doing box jumps in a boot camp, please be informed that she or he is heading towards ligament injuries or into the world of arthritis. The no gain-no pain formula is a relic that doesn't belong to sports science. When you wake up, you should monitor your resting heart rate, level of joint stiffness and muscle soreness as a response for your previous day exercise. These perceptual signs will give you a clue to determine the intensity of your next training session. Monitoring the training load, including the load that athletes are prepared for, is the best approach for long-term reduction of training-related injuries. Periodisation is a systematic planning of athletic or physical training. The aim is to reach the best possible performance without getting injured. For instance, a schoolgirl playing basketball in the morning and training in bharatnatyam in the evening will eventually lead to tendon strain or injury. If you are involving in multiple sports or activities for your wellness, then you must consult a strength and conditioning specialist for the effective periodisation and programme design. The most important and the most underestimated factor to prevent injury is recovery. Have you ever seen your fellow runner appearing sluggish and worn out at the start of the day? Or, maybe you have experienced this yourself. A proper method and amount of rest and recovery will allow you to replenish the energy stores and increase the muscle growth. Different methods of recovery that help with injury prevention are: 7-8 hours sleep at night, foam rolling, ice bath, massage and performing light exercises. Nothing can be more important than our health. An optimal amount of physical activity is an important requirement for maintaining health. To find out your optimum level and to prevent injury, you should seek a professional's help before beginning any exercise or activity, and use common sense and train smart. 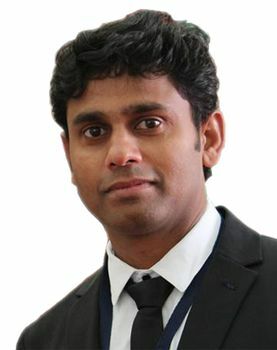 Th author is chief physiotherapist and vice president of Primal Patterns Holistic Fitness Studio, Chennai.